After five years of refinement, From Software brings us the purest Souls experience to date. Take a look at the live streams, Let's Plays, and other online phenomena still surrounding Dark Souls -- released two-and-a-half years ago -- and it's easy to see that, despite its length and nearly inestimable depth, From Software's Demon's Souls sequel left fans wanting more. You see, finishing Dark Souls doesn't close the book on your unfortunate adventures in the cursed Kingdom of Lordran. Instead, it serves as a new beginning, one where you know the game's nastiest tricks in advance, skip between milestones in minutes instead of hours, and dabble in character builds you've never dared to before. 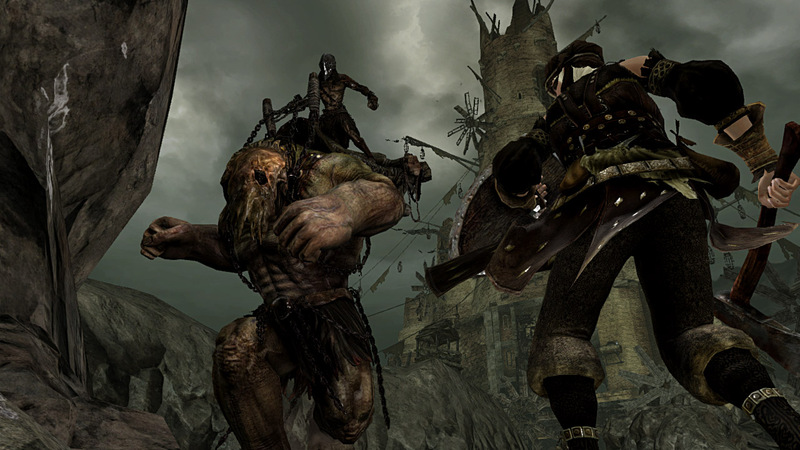 Despite the preposterousness behind the idea of taking 60 hours to "learn" a game, the hard-earned rewards of the Souls series make gaining knowledge from your countless mistakes both fun and empowering -- especially during a generation when console developers work with budgets so large that consumer friendliness negates player autonomy. Vanity, vanity, all is vanity... and this is its bonfire. As someone who's invested more than 250 hours across the two previous Souls game, I feel confident in saying Dark Souls II provides the same reactive, enigmatic, and devious RPG playground From has made their trademark since Demon's Souls rose to fame through word of mouth alone. It may not feel quite as revolutionary as its predecessors, but Dark Souls II features a number of thoughtful changes -- some borrowed from Demon's Souls -- which add up to an experience just as rich as the games before it, but even more playable. If you're not familiar with the Souls series, don't let the title of "Dark Souls II" throw you; it's not a direct sequel, though some prior knowledge of the series certainly won't hurt your chances of survival. Like previous Souls games, part two throws you into a dangerous world where the solutions to its many mysteries can be found in the smallest detail, from item descriptions to background scenery. And, like the installments before it, Dark Souls II places an emphasis on careful, studied exploration and staying alive, all for the sake of a resource called "souls" that works as a universal currency in its decaying world. Kick the bucket just once, and you'll be reverted to Undead status, which limits your abilities, but can be overcome by killing a boss or consuming a slightly rare item. Now, imagine this constant struggle for resources taking place in an open, hostile world that gives you very little direction, and you essentially have the Dark Souls II experience. It's not for everyone, but if you're willing, it can easily consume years of your life. Understandably, gamers hemmed and hawed over series director Hidetaka Miyazaki moving to the role of "supervisor" for Dark Souls II, but, rest assured, while the game has been made a little more accessible, it holds true to the face-punchingly-difficult spirit of the series. 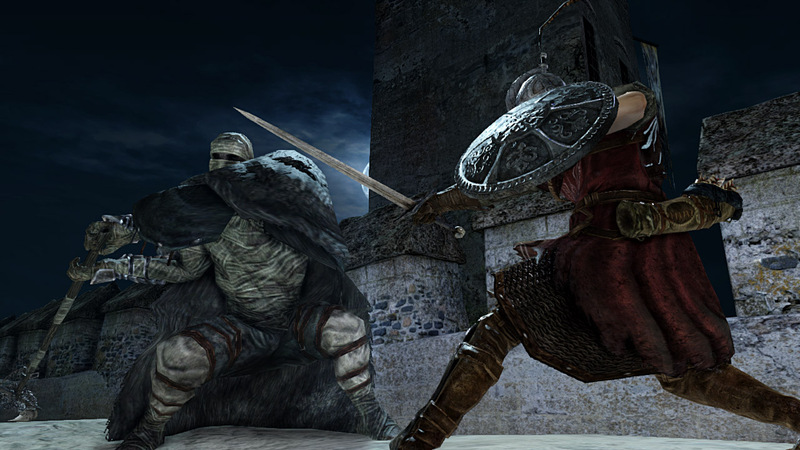 Players can now warp between checkpoints from the beginning of the game, though Dark Souls II's levels feel just as interconnected as they did in the previous game. Along with this incredibly convenient feature -- which allows you to easily explore a number of areas from the very beginning -- Dark Souls 2 adds some tweaks that just make too much sense. Weapons and armor can still break, but they're repaired automatically at bonfires, and without using any of your precious souls. Dark Souls 2 also provides three equipment slots per hand, which makes characters far more versatile without having to go into the menu to needlessly swap out weapons and items. Along with these larger changes come a lot of smaller ones to the user interface, controls, and enemy behavior that make it clear From Software understands the handful of tiny issues that made previous Souls game more of a hassle than intended. Enemies no longer turn into nearly weightless and easily-kicked-around rag dolls when they die, but that's the price you've gotta pay, I guess. Really makes the mounts you get in World of Warcraft look pretty puny, you know? Along with these tiny tweaks, Dark Souls 2 feels a lot harder to exploit than previous Souls games. While being Undead didn't affect you too much in Dark Souls, part two punishes you in the style of Demon's Souls by gradually reducing your maximum HP (temporarily, thank god) for every time you die while undead, up to 50%. And while some of Demon's and Dark Souls' challenge could be assuaged by the brain-dead AI of enemy characters -- who are mostly dead and rotting, to be fair -- the enemies in Dark Souls II seem a lot smarter this time around. Sure, you can always plink away at terrifying creatures in the distance if you don't mind buying hundreds of arrows, but your foes now chase you much further, and bosses involve more than circling around them with your shield up, waiting for an opening -- which was usually the case in Dark Souls. Souls II also isn't shy about throwing pitch-black areas in your face, which can be "safely" navigated through the use of a disposable torch that unfortunately occupies an all-important equipment slot. Unfortunately, this review has no choice but to omit Dark Souls II's all-important online features, as the game's server won't be online until its official release date. This means my experience with the game was limited to the single-player experience, which definitely isn't representative of the Souls series in general. With any luck, the central server that Dark Souls II relies upon will provide a much better online experience than the original Dark Souls' step down to peer-to-peer networking, which did a tremendous job of adulterating one of Demon's Souls' finest qualities. Check back later this week for an in-depth look at the multiplayer component. From Software couldn't have possibly duplicated the leap in quality the series saw from Demon's Souls to Dark Souls. Nevertheless, the Dark Souls II team understands why people like me can't shut up about the games. And the best part is, no one experience can sum up Dark Souls II in its entirety. While you can now re-spec your character, revive bosses, and make the enemies enemies even tougher, the nature of Souls means that secrets can be passed by, important NPCs can be missed or killed, and entire areas can go undiscovered. Seeing as players are still milking fun and secrets out of 2011's Dark Souls, I'm genuinely excited about what the community can make of this brave, new world begging to have its mysteries exposed. "I want my mummy," you whimpered upon reaching this terrifying new area of the game, failing to realize that the only wishes Dark Souls II grants are the monkey's paw kind. Visuals: Though you may miss the silky frame rate of the PC version of Dark Souls (modded, of course), Dark Souls II still manages to wow with expansive, detailed environments, the likes of which you haven't seen anywhere else. Sound: Like previous games in the series, Dark Souls II sticks to a mostly music-free experience, but Motoi Sakuraba's second turn at a Souls game once again forsakes his taste for bombast for a much more poignant score. Interface: Items are now sorted into different pages depending on their type, which is a godsend in a game where you end up carrying around most of the world's armory on your back. Lasting Appeal: Dark Souls II ranks up there with the previous two installments into the series as a perfect "desert island" game. If you're dedicated, getting the most out of its world could take you well into 2015. Dark Souls II provides the best of both worlds: an admirable sequel for series veterans, and a perfect jumping-on point for gamers who've shied away from From Software's RPG brand until now. And if you're afraid of the series' tough-as-nails reputation, From has made sinking into Souls addiction a much more effortless process. 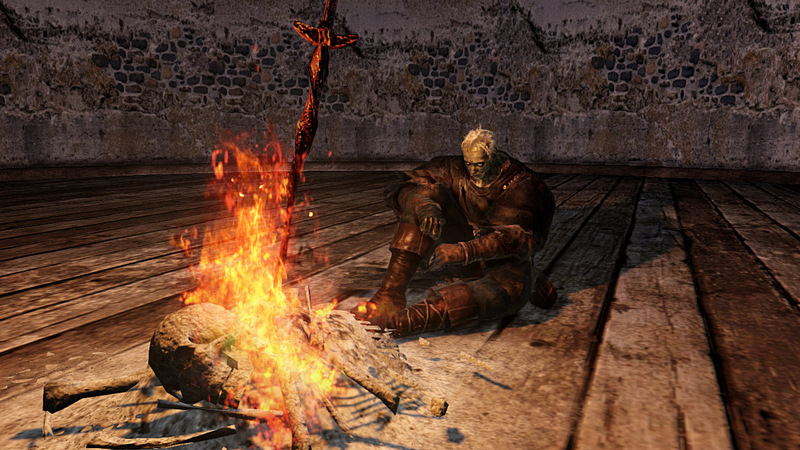 You just have to let Dark Souls II break you first. Tagged with darksoulsii,	fromsoftware,	Reviews.